The graduate student exchange program with the École Normale Supérieure, or ENS Paris, one of France's most prestigious institutions of higher learning, enables a Northwestern student to spend an academic year or part of the year at ENS Paris doing research and/or attending classes. 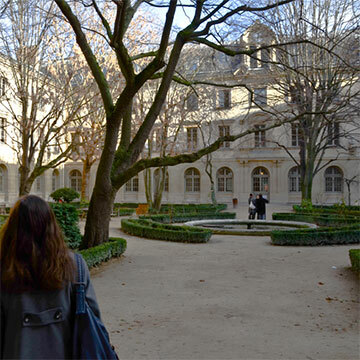 Students are housed by the ENS Paris. They receive a tuition waver and a stipend from Northwestern University (Weinberg College of Arts and Sciences and The Graduate School). The program is open to PhD students in all fields, including the sciences. Students must advance to candidacy by the fall of the year they will spend at the ENS Paris and have sufficient knowledge of French to be able to function in an academic setting (at least the equivalent of 2 years of College French). Students may use the summer prior to their year in Paris to improve their language skills. Students apply through the Paris Program in Critical Theory. Students may apply to both the ENS Paris exchange and the Paris Program or to only one of the two.